Adidas contests judgement in trademark dispute | Russian Legal Information Agency (RAPSI). ST. PETERSBURG, July 31 - RAPSI. On Monday, the St. Petersburg and Leningrad Region Commercial Court registered an appeal by Adidas AG against the dismissal of its lawsuit against the Lenta chain store to prohibit the use of the Adidas trademark on its products, the court's website reads. The date for the hearing has not yet been set. Adidas disputes the June 25 decision of the St. Petersburg Commercial Court . In the original lawsuit, the court brought in the Intershoes company, as a third party. Intershoes is a supplier of counterfeit goods located in Moscow. Adidas seeks to prohibit the defendants from using the Adidas trademark on products sold by Lenta outlets, including on labels and packaging. The plaintiff also claims the disposal of the fake shoes and the recovery of 2.5 million rubles ($77,732) from Lenta in compensation. Founded in 1993, Lenta runs a network of hypermarkets. The Lenta head office is located in St. Petersburg. It currently has 40 stores in Russia. 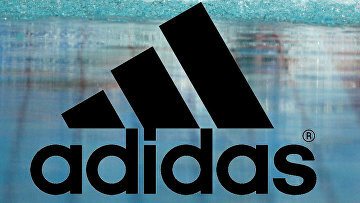 Adidas AG is the core company of the Adidas Group.